In 2009, Ashes to Fire was published and distributed by Nazarene Publishing House. Now Ash Wednesday is ever increasing in popularity in the Church of the Nazarene. While General Superintendents ignore Bible-believing Nazarenes and their concerns, they are clearly on board with the Roman “Catholization” of the church. Just a few readings over at Sacramental Nazarenes Facebook group shows how serious they are in going full steam ahead, including the use of ashes to the forehead Catholic style. To what end? This was not my father’s denomination when he was alive; he was rescued from Roman Catholicism, and now the leadership has no problem becoming more like the RCC. Is it financial motivation? Is it to get more members and show how diverse or welcoming the church is? That would be ironic, since there seems to be very little room for Bible-believers now, unless the remain silent and mind their own business. I wonder how many Nazarene churches across North America, and also around the world, practiced the Catholic rituals last night? Did you, and if so, why? The following by John Henderson is some food for thought. Ash Wednesday: of pagan origin? “Ash Wednesday” is a day when Catholics receive a mark of ashes on their forehead, supposedly as a token of penitence. the use of ashes in the Church left only a few records in the first millennium of Church history. Thomas Talley, an expert on the history of the liturgical year, says that the first clearly datable liturgy for Ash Wednesday that provides for sprinkling ashes is in the Romano-Germanic pontifical of 960. Before that time, ashes had been used as a sign of admission to the Order of Penitents. As early as the sixth century, the Spanish Mozarabic rite calls for signing the forehead with ashes when admitting a gravely ill person to the Order of Penitents. At the beginning of the 11th century, Abbot Aelfric notes that it was customary for all the faithful to take part in a ceremony on the Wednesday before Lent that included the imposition of ashes. Near the end of that century, Pope Urban II called for the general use of ashes on that day. Only later did this day come to be called Ash Wednesday. There is no mention of Ash Wednesday, the practice of it or even a semblance of it in the Bible. This is also true with Lent of which Ash Wednesday is supposed to be a preparation for. So ask yourself this: if you’re a Christian, a true Christian, would you practice something not taught by Jesus Christ or his Apostles? If so, why? Ash Wednesday is actually of pagan origin and was admitted into the church beliefs of the Catholic Church a few hundred years after Christ. This was the era when Constantine was attempting to weld pagans and Christians into a unit within the Roman kingdom. 1. Putting ashes on the forehead is not hinted at in the Bible. Jesus and the apostles never thought of such a thing: it was adopted from paganism. African and Indian pagan rites have involved ashes on the forehead. This man made tradition of the Catholics makes the worship of God of no effect and adds to the commandments of Jesus Christ (Matt 15:7-9; 28:18-20). 2. 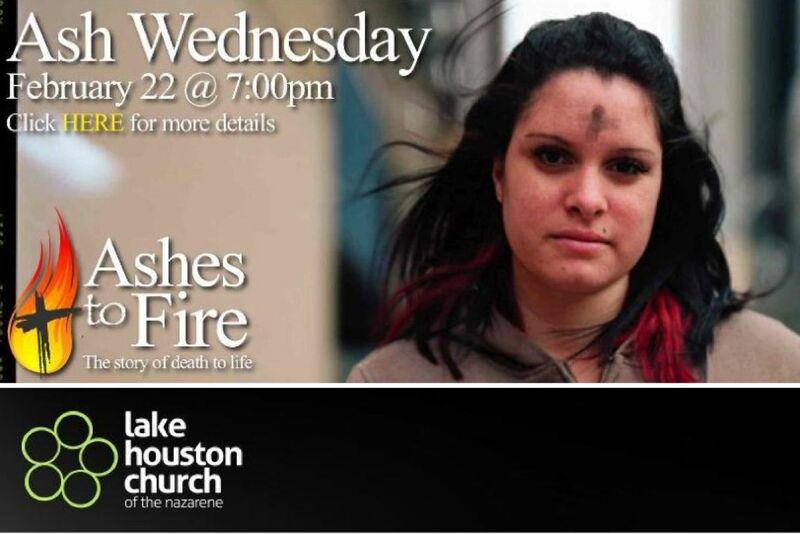 God’s people sat in ashes or covered themselves with ashes to show deep grief and repentance before God. They did not make a little mark on their forehead to pretend grief and repentance. The marking of a cross on the forehead merely shows pagan superstition and man made tradition (Esther 4:1,3; Job 2:8; Is 58:5; Jer 6:26; Dan 9:3; Jonah 3:6; Luke 10:13). 3. Why is the forehead chosen for ashes? Why not the left elbow? Why not the right knee? Jesus condemned publicly disfiguring your face to indicate you were fasting (Matt 6:16-18). Catholics defy the teaching of Jesus Christ in their self-righteous show of religion. And their practices are as repulsive to God as were those of the Jews (Is 1:10-15; Matt 23:1-39). 4. Why is the forehead chosen for ashes? The only Bible reference to men marking their foreheads, other than Pharisee tradition with phylacteries, is the mark of the antichrist beast (Matt 23:5; Rev 13:6; 20:4). God-fearing persons would not want to follow Rome with a mark on their forehead! 5. Why is the forehead chosen for ashes? Because it has the third eye chakra of the Hindus. Surely you have seen Hindu women marked between their eyes. Tilaka is the mark of auspiciousness of Hindus, which may be done by marking the forehead with sacred ashes. Ash Wednesday did not come from the Bible, and it appears by similarity to have come from Hinduism. Paul warned us to beware lest any man spoil you through philosophy and vain deceit, after the tradition of men, after the rudiments of the world, and not after Christ. For in him dwells all the fullness of the Godhead bodily. And ye are complete in him, which is the head of all principality and power. (Col. 2:8-10). Jesus never commanded his apostles to observe Lent, but to observe the Passover and the Days of Unleavened Bread. Tammuz was the false Messiah of the Babylonians—a satanic counterfeit of Jesus Christ! The Bible records ancient Judah worshipping this false Messiah: “Then He brought me to the door of the gate of the Lord’s house which was toward the north; and, behold, there sat women weeping for Tammuz” (Ezek 8:14-15). This was a great abomination in God’s eyes!